What do you think my sweet little girl wanted for her 5th birthday? She wanted a Frozen themed party, of course. I was lucky enough to be able to host a #DisneySide @ Home Celebration and am blogging about that on my parenting blog- Latched On Mom. Disney Parks, MomSelect and BSM Media gifted us a box full of Disney goodies to share my thoughts and experiences. 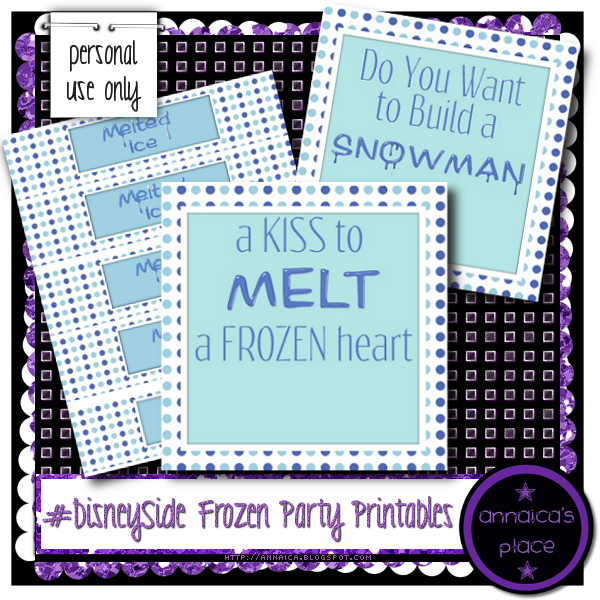 So I had to incorporate Frozen into it all and ended up making a few Frozen Party Printables. There's an 8.5x11 inches sheet of bottle labels that say Melted Ice, and two table placement cards that when placed together also measure 8.5x11 inches. I also have a blank card for you to use for name cards or for whatever your #DisneySide desires! These cards really helped complete our party! 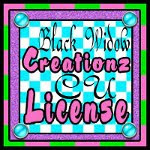 If you like this freebie, leave me some comment love!